Yes. (laughs) Sorry for the long wait. Your self-introduction, please. I'm Amano from the Software Development Department of the Entertainment Analysis & Development Division (EAD). For Star Fox 64 3D, I was a sort of coordinator, operating between Q-Games and Nintendo and helping to determine various specifications. Is this the game you worked on after New Super Mario Bros. Wii?6 6. New Super Mario Bros. Wii: An action game released for the Wii console in Japan in December 2009. Yes. It was soon after that. I came to be a part of this project because every time I met (Takaya) Imamura-san7—who has always developed Star Fox—I said, “Make a new Star Fox game, please!” 7. 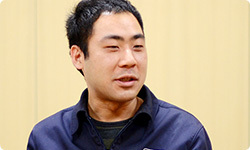 Takaya Imamura: Software Development Department, Entertainment Analysis & Development Division. 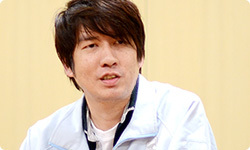 In the Star Fox series, he has mostly participated as a designer. 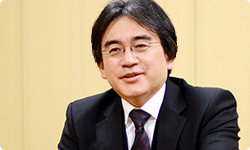 He was director of Steel Diver for the Nintendo 3DS system and participated in the session of “Iwata Asks” about Steel Diver. You kept telling Imamura-san to make a new Star Fox game, and the next thing you knew, the job had fallen to you. You were a primary school student when Star Fox came out for the Super Famicom system? Because Mario doesn’t show up. Exactly. Then I bought Star Fox 64 the day it went on sale. I think it was my first year of secondary school and I played it through. But then part of the way through, Imamura-san got buried in the development of Steel Diver. That’s right. I was just going to help out a little, but I ended up in charge of it to the end. I’m Takano from the Software Development Department of EAD. I worked on aspects such as the script and character dialogue for Star Fox 64. This time, in remaking the game for the Nintendo 3DS system, I lent support. What were you doing when Star Fox came out for the Super Famicom system? I was already at Nintendo. I was in a different development department, but Imamura-san came into the company about the same time that I did. It looked like he was having a lot of fun, so I was jealous. Oh, you joined Nintendo at the same time? Alright, first I would like to ask about the Super Famicom version that is the origin of Star Fox. The cartridge for this game contained the Super FX chip8 for displaying 3D graphics. Miyamoto-san, why did you want to make something like that? 8. Super FX chip: A chipset that was built into some ROM cartridges for the Super Famicom system. This chip made displaying polygons and 3D graphics possible. The cartridges for Star Fox and Super Mario World 2: Yoshi's Island used it. Around that time, I was making Pilotwings9 and F-Zero10 for the Super Famicom system, and I thought drawing objects from so many different angles was a waste of effort. 9. Pilotwings: A sky sports simulation game released for the Super Famicom system in Japan in December 1990. 10. F-Zero: A racing game released for the Super Famicom system in Japan in November 1990. You would create lots of images from different angles—of the machines in F-Zero, for example—and you would display them like animation. Right. I thought it would be so much easier if we could display a polygon—just make a single object—and turn that in real time. So we tested how well polygons would move on the Super Famicom system and the best we could do was get one aeroplane to turn. But that isn’t a game. No, it was no use at all. I talked to the hardware guys and they just said that the strengths of the Super Famicom system were its sprite function for rapidly displaying characters composed of pixels anywhere on the screen and the way it first rendered backgrounds, lined them up and moved them. It wasn’t for directly rendering polygons at all. I thought, “Oh? Really? You won’t work it out for me somehow?” I thought, “But we could make something more fun if we could quickly move three-dimensional objects!” and “If only we could create a better sense of space!” But the Super Famicom system wasn’t built for that. Then, just when I was looking around for an adaptor or something to add that function, I saw a demo for X. The Super Famicom system came out on November 21, 1990, and Dylan-san came to Kyoto in July 1990, before it went on sale. That’s right. I was really interested in that demo and thought it might work out somehow for the Super Famicom system. We started talking about making a chip together, and that’s how Star Fox began. 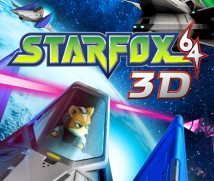 But why make Star Fox first? Because it was the easiest. Yes. We thought of several things that would be easy to make using that technology. For example, we tried driving around tanks. Yes, we did a lot. But the tanks didn’t move the way we’d hoped. And as I mentioned earlier, the Super Famicom system is really good at rendering backgrounds. I thought maybe we could make a game by rendering a background and having something three-dimensional move on top of it, and it looked like we might be able to make a space adventure with a fighter aircraft flying through the air and over planetary surfaces. So the fighter, Arwing, has the design it does because you couldn’t use many polygons. That’s right. Back then, with the Super Famicom system, you couldn’t display complicated shapes, only simple ones. The only choice was a triangular shape. Exactly. We called it Arwing because it was like one big wing shaped like an A.
Amano-san, what did you think when you first saw Star Fox as an primary school pupil on your way home from school? And it was an old game, so the movement was jerky. That was unavoidable given the frame rate back then. Of course, it was different than previous games and it really felt like there was actually an object there. But when I played it, I thought it was really difficult. I was still in primary school, so I couldn’t beat it. As a primary pupil, I thought it was a mysterious thing, but I also knew it wasn’t something for me to play. So my primary school days passed without me really grasping it.